It reminds me that sometime in 2015, I promised to share my recipe for Budae Jjigae here on the blog. Took me quite a while huh. Regardless, it's here now. There are a lot of information all over the internet about the history of Budae Jjigae (부대찌개) Korean Army Base Stew but in nutshell, Budae Jjigae is said to be a dish invented during the Korean War. When people are forced to make something out of available food in order to feed themselves - most of it are relief goods from the American soldier. 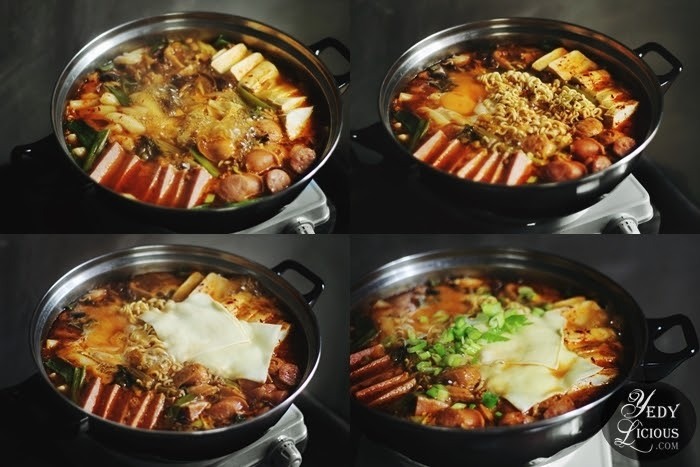 That is why some of the basic ingredients for Budae Jjigae are distinctly foreign such as Spam, sausage, American cheese, and baked beans. The combination of Korean flavors married with American ingredients made this dish intriguing and approachable at the same time. I fell in love with Budae Jjigae way before I fell in love with all other Korean dishes, I tell you. To be honest, there are a lot of ingredients needed to make Budae Jjigae (부대찌개) Korean Army Base Stew it can be daunting at a glance. But do not get intimidated because it is so easy to do you would realize that technically, we are just throwing everything together. This recipe right here, I learned from a mother of a Korean friend I met when I was in college. There are other ways of cooking Budae Jjigae but I am more comfortable with this one. I will break down the process into three elements to make things easier to follow. Note that this is just a quick rundown and some explanation that might be helpful if you plan on doing this recipe. 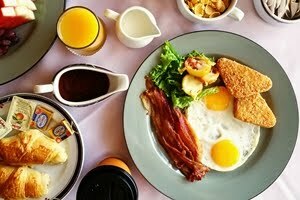 Complete ingredients and procedure as per usual, are indicated at the lower part of this post. First, the Korean anchovy soup stock - the very back-bone of most of Korean cooking, as they say. You can of course use other broth you would like but if you are aiming for that distinct Korean taste, I was told this is the way to go. To make Korean anchovy soup stock, you just need to combine water, dried kelp, dried shitake mushroom, and dried Korean anchovies with head and innards removed. Bring it into a boil, take out the kelp, simmer the remaining ingredients, then strain the stock and set aside. Second, the Budae Jjigae sauce paste. Sauce can make or break your stew. This is where you will decide if you want it a bit spicier or milder by adjusting the ingredients accordingly. 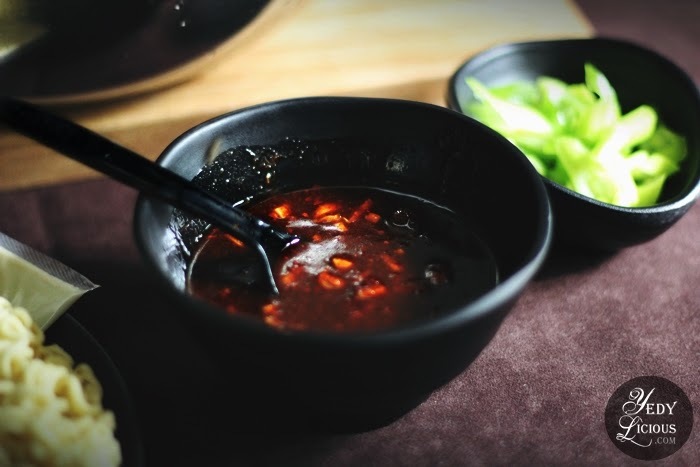 Ingredients include soy sauce, mirin or rice wine, sesame oil, Korean red pepper paste (gochujang), Korean red pepper flakes (gochugaru), minced garlic, sugar, and black pepper. You just have to mix everything together in a small bowl, taste as you go, then adjust ingredients as needed. Set it aside because it will be added along with the ingredients once you start creating your stew. If you want it a bit spicy, add more gochujang and gochugaru. If you want it sweet, add a bit more sugar or mirin. Usually it calls for generous helpings of finely minced garlic and a tad less amount of the liquid ingredients that creates thick paste-like consistency. But if you prefer a chunkier garlic pieces, or a little less of it, feel free to go easy on chopping or use less. Third, the stew. You have your broth, you have your sauce, now it's time to assemble the stew. 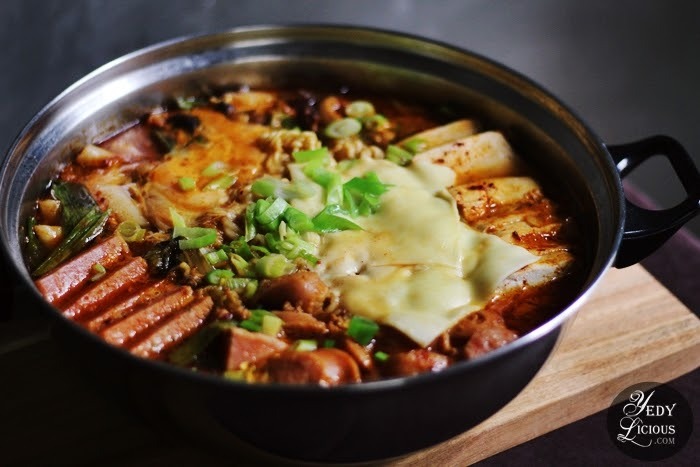 Basic Budae Jjigae (부대찌개) Korean Army Base Stew ingredients are Spam, sausage, baked beans, minced beef, kimchi, Korean rice cake, tofu, mushroom, cabbage, noodles, white onion, scallions, noodles, American cheese slices, and egg. Sometimes I would add more vegetables such as carrots, spinach, zucchini, enoki mushroom, or any other veggies I have on hands. Others swears by the goodness of adding Korean glass noodles aside from the instant noodles people would normally put. Korean fish cake is also one of my favorite additions. This is technically the easy part because you just have to put everything together in a wide shallow pan then bring it into a boil and let the magic of each ingredients' flavors do the rest. 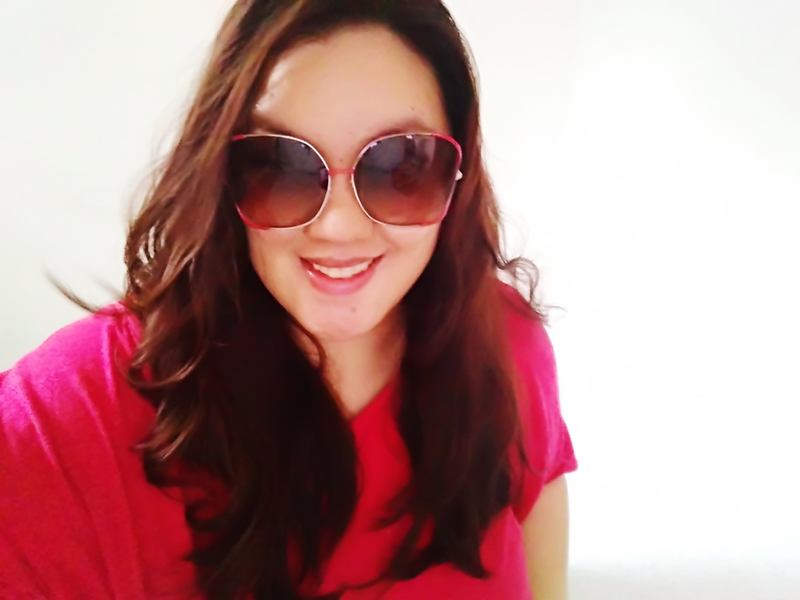 By putting everything together, I didn't mean that you would just throw everything haphazardly with reckless abandon. It's nice if there is a little layering of ingredients just like Koreans would do it. Put everything in the pan neatly, except for the noodles, cheese, egg, and chopped scallions which must be added towards the end of cooking process. Bring it into a boil over medium high heat, then lower the heat and simmer the stew while adding the egg, noodles, cheese, and green onion. Add more soup stock or water as needed. Budae Jjigae (부대찌개) Korean Army Base Stew is usually cooked table top and enjoyed while it is still on gentle simmer. This is when you can add a little bit more of your favorite ingredients and stock and wait for it to cook just like you would a shabu-shabu. If however that set up is not possible, it can be cooked ahead of time but must be eaten immediately especially if you don't want the noodles to turn soggy. Importantly, this dish is meant to be shared with people, so feel free to make big batches and enjoy while talking about your current favorite Kdrama or any Kshow for that matter. This recipe guide for 부대찌개 Budae Jjigae Recipe [How To Cook Korean Army Base Stew] is so easy to follow and yields a delicious Korean stew meant to be shared with kfood-loving group. Soak Korean rice cake (dduk) in a bowl of cold water then set aside while preparing other ingredients. Prepare the Korean soup stock: Mix all the ingredients in a pot. Bring to a boil over medium high heat then simmer for 5 minutes. Remove the kelp then simmer for another 5 minutes. Remove all the other remaining ingredients then strain out stock. Set aside. Prepare the Budae Jjigae sauce: Mix together all the ingredients in a small bowl then set aside. 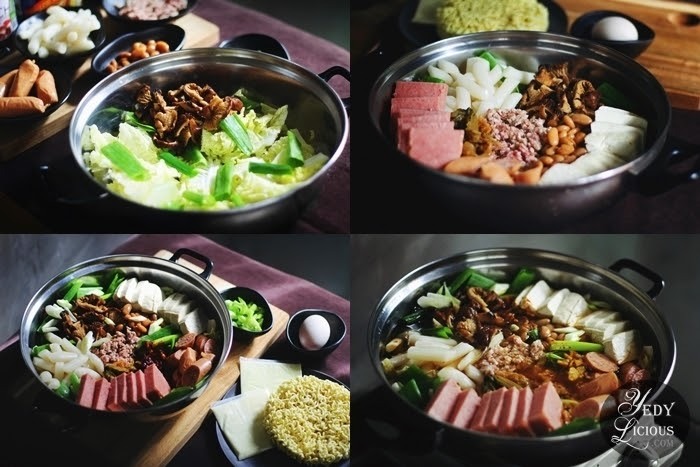 Prepare and cook the stew: In a shallow wide pot, arrange cabbage, scallions, onion, mushrooms, tofu, spam, sausage, ground beef, baked beans, rice cakes, kimchi, and the sauce paste. Pour 5 cups of the Korean soup stock, leaving one cup for later use. Bring to a boil over medium high then simmer for around 5 minutes over low heat. You may opt to mix everything together or slightly work around with it with sight stirring if you want to maintain the aesthetic visual. Add noodles and egg then simmer for another 4 minutes. Add the cheese and garnish with the remaining chopped scallions and the stock. Take it out of the heat and serve immediately. If opting for table cooking, you may crank down the heat to low as you slowly eat your way through the stew. You may add more noodles and stock as needed. If you happen to try this recipe, please do give me a shout out in the comments section below as to how your Korean Army Base Stew turned out. If ever you post a photo of your creation on social media, do tag me (@YedyLicious) and use the hashtag #YedyLicious for it would be lovely to see what you made.